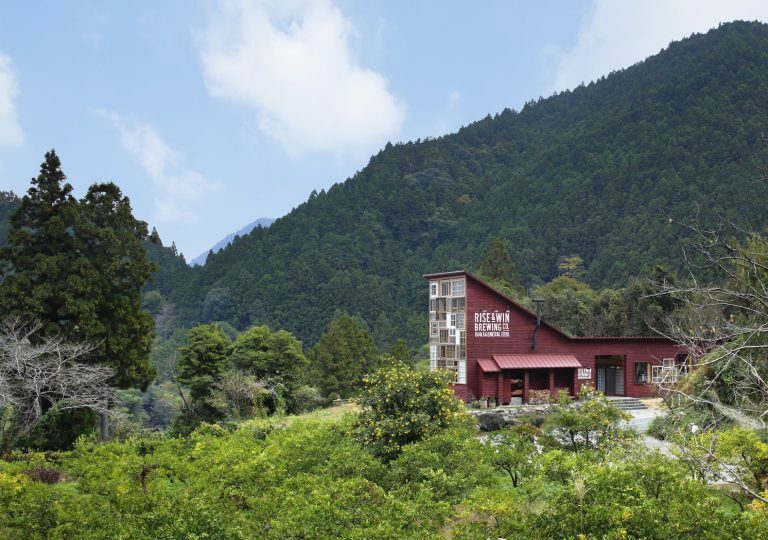 Hiroshi Nakamura & NAP just won the WAN Sustainable Buildings Award 2016 for their stunning Kamikatz Public House, a sundries shop and pub that symbolizes the Japanese town Kamikatsu’s commitment to zero waste. The eco-conscious structure is affordably built out of reclaimed building materials and showcases reuse in creative and inspirational ways. The small yet ambitious Japanese town of Kamikatsu has achieved an 80% recycling rate and residents sort their waste into 34 categories. The Kamikazt Public House embraces the zero waste mission in its design, particularly with its eye-catching eight-meter-tall window wall made from a hodgepodge of windows reclaimed from nearby abandoned houses. 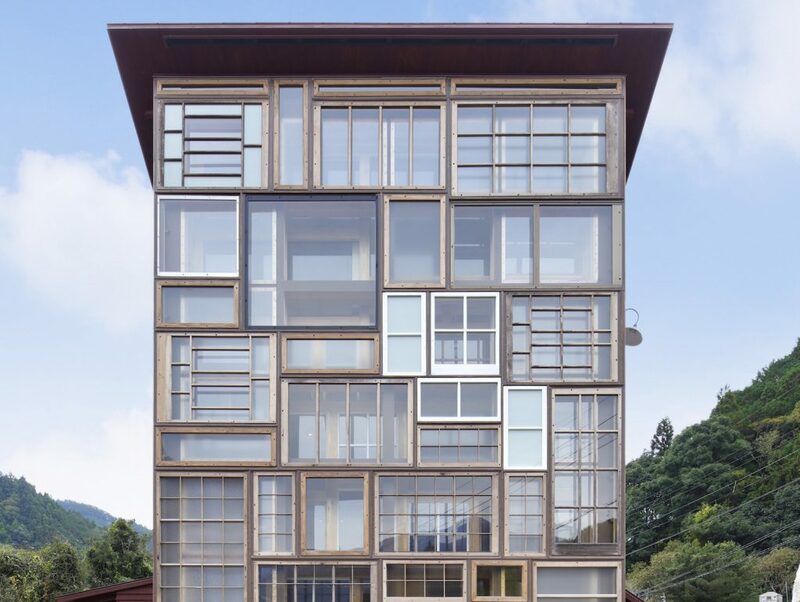 The eight-meter-tall window wall and other openings bring in cool breezes in the summer, while a carbon-neutral radiation heater warms the structure in winter. The building is filled with creative displays of reuse, including reclaimed tiles for the flooring, a bottle chandelier, and newspapers upcycled into wallpaper. 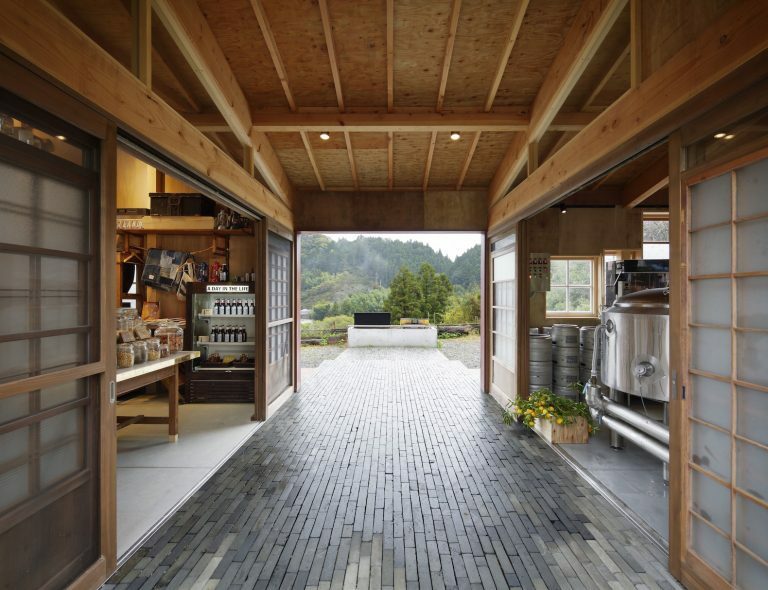 The exterior is clad in locally produced and reclaimed cedar boards colored with naturally derived persimmon tannin paint. The award winning closed loop marketplace where people connect to buy, sell or donate leftover building materials. Helping build a future where we share, upcycle and reuse surplus. Reducing the impact the industry has on our environment and building toward a more circular economy.